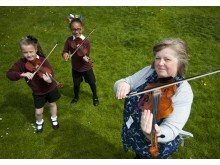 AN education experiment which involved an entire class of young schoolchildren – and their teacher - learning to play the violin has been hailed a success after their first public performance. 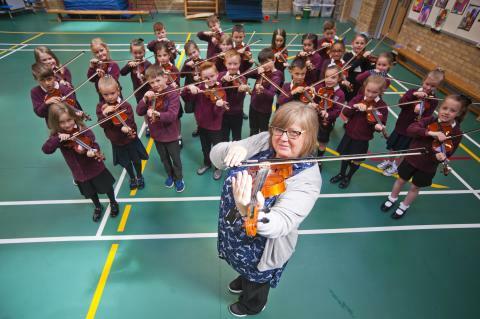 The 28-strong P3 class at Millbank Primary in Buckie, Moray, had new violins provided and a music instructor dedicated to weekly lessons for the school year. 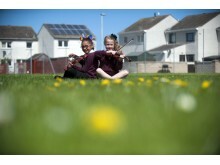 The school is in an area of deprivation under the Scottish Index of Multiple Deprivation (SIMD), and the experiment was designed to raise attainment and develop positive behaviour. Last week the pupils and teacher gave their first performance at the local High School. Head teacher Rosemary Garrity said the results have been extraordinary. “The effect has been really noticeable,” she said. “Not only do the children enjoy playing their instruments, they are more alert, attentive, and their behaviour is really good across the whole class. 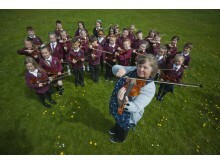 Moray’s music instruction is charged at between £264 and £378 a year, among the highest in Scotland. Recent increases in tuition fees have led to a slump in numbers, but if this initiative is extended to other schools it could lead to a more sustainable service – and more musical students. 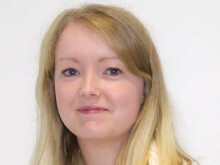 Head of music instruction for Moray Council, John Mustard, said the inclusion of the class teacher, Maureen Butterly, as a pupil was an important part of the experiment. 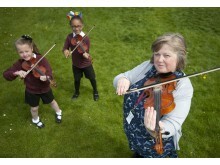 “Having Maureen undertake instruction at the same time, and her practising with the children outside of music lessons, is a take on the Japanese Suzuki method of learning,” he said. “The method aims to create an environment for learning music which parallels the linguistic environment of acquiring a native language; adults and children learning together does produce results. 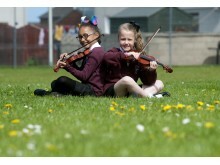 As a result of the experiment, over half the class have signed up with the instruction service for paid music lessons next year, and next year’s P3 intake will also be learning the violin en masse. 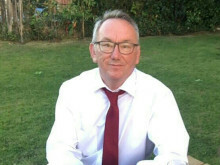 John Mustard added that the government's Pupil Equity Fund could be used by schools wishing to repeat the experiment. 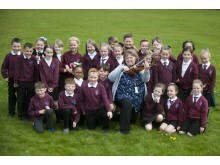 Violin instructor, Jane Alexander, said the youngsters have been so keen that many can now read music. Chair of Moray Council’s Children and Young People’s committee, Cllr Tim Eagle, was at the first performance. “Music is an essential part of Scottish culture and I am delighted that - even in tough times - Moray Council staff are finding ways to bring tuition to as many as possible.,” he said.